В исследовании предпринята попытка обобщить наиболее характерные экономические особенности для группы стран с формирующимися рынками. Рассмотрен вопрос классификации стран со стороны международных институтов и аналитических и рейтинговых агентств. На основе обширных статистических данных приведены характеристики основных групп экономических индикаторов развития формирующихся рынков – инвестиционных, макроэкономических и финансовых. Значительная часть работы посвящена сравнительной характеристике уровня развития финансовой системы развивающихся и развитых стран. В завершении приведено авторское определение формирующейся экономики. Исследование может быть интересно как для научного сообщества в рамках изучения вопросов, связанных с формирующимися рынками и их состоянием, а также для представителей инвестиционного сообщества, рассматривающих потенциальные вложения активов в юрисдикции развивающихся стран. 1. Abu-Bader S., Abu-Qarn A.S. Financial development and economic growth: Empirical evidence from six MENA countries // Review of Development Economics. – 2008. – № 12(4). – С. 803-817. – doi: 10.1111/j.1467-9361.2008.00427.x. 2. Amato Jeffrey D., Stefan Gerlach Inflation Targeting in Emerging Market and Transition Economies: Lessons After a Decade // European Economic Review. – 2002. – № 4-5. – С. 781-790. 3. Arcand J.L., Berkes E., Panizza U. Too much finance? // Journal of Economic Growth. – 2015. – № 20(2). – С. 105-148. – doi: 10.1007/s10887-015-9115-2. 4. Arestis P., Demetriades P.O., Luintel K.B. Financial Development and Economic Growth: The Role of Stock Markets // Journal of Money, Credit, and Banking. – 2001. – № 33(1). – С. 16-41. 5. Beck T., Demirgü-Kunt A., Levine R. Financial institutions and markets across countries and over time: The updated financial development and structure database // World Bank Economic Review. – 2010. – № 24(1). – С. 77-92. – doi: 10.1093/wber/lhp01. 6. Beck T.,Levine R. Stock Market, Banks and Growth: Panel Evidence // Journal of Banking and Finance. – 2004. – № 28(3). – С. 423-442. 7. Boyd J.H., R. Levine, Smith B.D. The Impact of Inflation on Financial Sector Performance // Journal of Monetary Economics. – 2001. – № 47(2). – С. 221-248. 8. Boubaker S., Nguyen D.K., Piljak V., Savvides A. Financial development, government bond returns, and stability: International evidence // Journal of International Financial Markets, Institutions and Money. – 2019. – doi: 10.1016/j.intfin.2019.02.006. 10. Caballero R., Krishnamurthy A. Exchange Rate Volatility and the Credit Channel in Emerging Markets: A Vertical Perspective // International Journal of Central Banking. – 2005. – № 1. – С. 207-245. Damodaran Aswath Equity Risk Premiums (ERP): Determinants, Estimation and Implications – The 2016 Edition. Ssrn.com. [Электронный ресурс]. URL: https://ssrn.com/abstract=2742186 . 14. Desbordes R., Wei S. The effects of financial development on foreign direct investment // Journal of Development Economics. – 2017. – № 127. – С. 153-168. 15. Disyatat P., Galati G. The effectiveness of foreign exchange intervention in emerging market countries // Journal of International Money and Finance. – 2007. – № 3. – С. 383-400. 16. Estrada J. Systematic Risk in Emerging Markets: The D-CAPM // Emerging Markets Review. – 2002. – № 4. – С. 365-379. 17. Farooq O., Ahmed N. Does inflation affect sensitivity of investment to stock prices? evidence from emerging markets // Finance Research Letters. – 2018. – № 25. – С. 160-164. – doi: 10.1016/j.frl.2017.10.019. 19. Gupta G., Mahakud J. Alternative measure of financial development and investment-cash flow sensitivity: Evidence from an emerging economy // Financial Innovation. 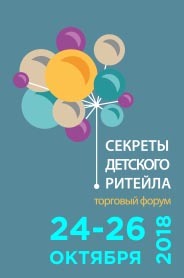 – 2019. – № 5(1). – doi: 10.1186/s40854-018-0118-9. 20. Hadhri S., Ftiti Z. Asset allocation and investment opportunities in emerging stock markets: Evidence from return asymmetry-based analysis // Journal of International Money and Finance. – 2019. – № 93. – С. 187-200. – doi: 10.1016/j.jimonfin.2019.01.002. 21. Hardie I., Rethel L. Financial structure and the development of domestic bond markets in emerging economies // Business and Politics. – 2019. – № 21(1). – С. 86-112. – doi: 10.1017/bap.2018.11. Hookey J. Emerging markets: a practical guide for corporations, lenders, and investors. - New York: Wiley, 2001. 24. Levine R. Finance and Growth: Theory and Evidence. Philippe Aghion & Steven Durlauf (ed.) // Handbook of Economic Growth. – 2005. – № 12. – С. 865-934. 25. Levine R. Banking-Based or Market-Based Financial Systems: Which Is Better? // Journal of Financial Intermediation. – 2002. 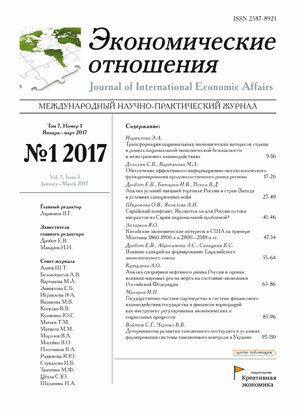 – № 11(1). – С. 398-428. 26. Lucas R. E., Jr. On the Mechanism of Economics Development // Journal of Monetary Economics. – 1988. – № 22(1). – С. 3-42. Miller R. Selling to Newly Emerging Markets. - New York: Quorum Books, 1998. Pearson L. Partners in Development: Report of the Commission on International Development. - New York: Praeger Publishers, 1969. 29. Shen C., Fan X., Huang D., Zhu H., Wu M. Financial development and economic growth: Do outliers matter? // Emerging Markets Finance and Trade. – 2018. – № 54(13). – С. 2925-2947. 30. Tadesse S. Financial Architecture and Economic Performance: International Evidence // Journal of Financial Intermediation. – 2002. – № 11(4). – С. 429-454. 31. Tsagkanos A., Siriopoulos C., Vartholomatou K. Foreign direct investment and stock market development: Evidence from a “new” emerging market // Journal of Economic Studies. – 2019. – № 46(1). – С. 55-70. – doi: 10.1108/JES-06-2017-0154. 32. Анкудинов А.Б., Дашкин Р.М., Дашкин Э.М. Оценка детерминант инвестиционной активности российских нефинансовых компаний // Российское предпринимательство. – 2018. – № 4. – С. 1175-1188. – doi: 10.18334/rp.19.4.38903. 33. Дашкин Р.М., Дашкин Э.М. Исследование аспектов финансового развития стран с формирующейся экономикой // Экономические отношения. – 2018. – № 3. – С. 351-362. – doi: 10.18334/eo.8.3.39394. World Economics Situation and Prospects 2018. Un.org. [Электронный ресурс]. URL: https://www.un.org/development/desa/dpad/wp-content/uploads/sites/45/publication/WESP2018_Full_Web-1.pdf. Country and Lending Groups. World Bank. [Электронный ресурс]. URL: https://datahelpdesk.worldbank.org/knowledgebase/articles/906519-world-bank-country-and-lending-groups. Country Classification Methodology. S&P Dow Jones Indices. Us.spindices.com. [Электронный ресурс]. URL: https://us.spindices.com/documents/index-policies/methodology-country-classification.pdf. Steven Downey Emerging Market Mindsets: Don’t Forget the Rest of the World. Blogs. [Электронный ресурс]. URL: https://blogs.cfainstitute.org/investor/2017/12/19/dont-forget-the-rest-of-the-world-emerging-market-mindsets. Damodaran’s data on markets. Pages. [Электронный ресурс]. URL: http://pages.stern.nyu.edu/~adamodar/New_Home_Page/datafile/ctryprem.html. Damodaran’s data on markets. People. [Электронный ресурс]. URL: http://people.stern.nyu.edu/adamodar/New_Home_Page/datacurrent.html#discrate. Global Financial Development Report 2017. World Bank. [Электронный ресурс]. URL: https://www.worldbank.org/en/publication/gfdr. Financial Structure Database. World Bank. [Электронный ресурс]. URL: https://www.worldbank.org/en/publication/gfdr/data/financial-structure-database. Equity Country Classification Process. Ftse. [Электронный ресурс]. URL: https://www.ftse.com/products/downloads/FTSE_Equity_Country_Classification_Paper.pdf. World Economic Outlook. Imf. [Электронный ресурс]. URL: https://www.imf.org/en/Publications/WEO/Issues/2018/09/24/world-economic-outlook-october-2018#Full%20Report .